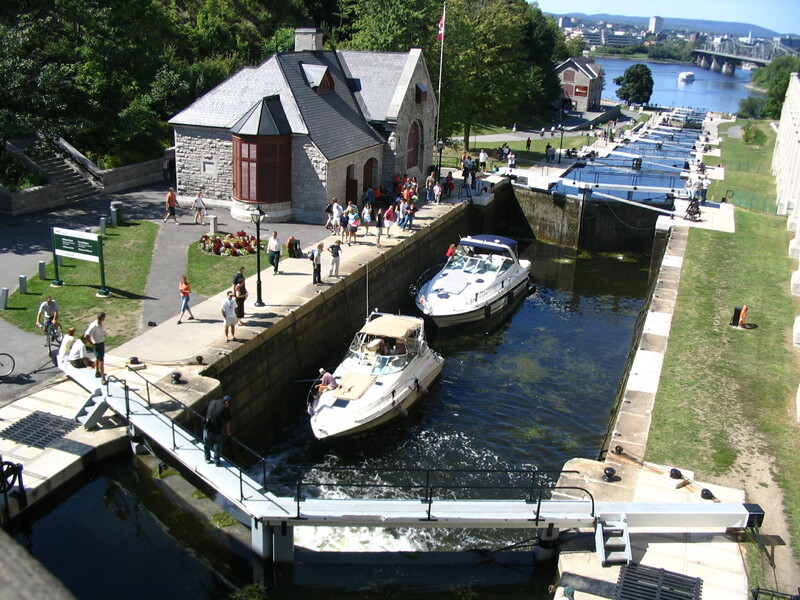 See an important historic site and feat of engineering at Ottawa Locks, a set of eight locks. Connecting the channel of the Rideau Canal to the Ottawa River--which lies 24.4 m (80 ft) below--the locks date from 1831 and represent a significant structural accomplishment. The city has grown up around the locks, but the hand-operated mechanisms and immediate area still possess a period charm, even with all the modern yachts passing through. Add Ottawa Locks to your Ottawa travel itinerary, and discover new vacation ideas by using our Ottawa day trip planning tool . Such a fantastic sight. The locks are in such a short distance of one another it really shows how much of a feat of engineering it really is. There's a little coffee shop type place at the bottom of the walkway and you can follow the path down and around to the river from the canal. The steps are quite steep so it's not for everyone. We visited twice in 2017 and made sure we had a wander both times. Beautiful views and fun for the kids to watch the boats traveling through the locks. Nice place. Cool to see the canal and the locks that raise and lower water when necessary for boats to pass through. Such a cool sight to see and to learn the history of. The crew operating the gates are happy to talk about their operation and history. If you're fortunate enough to be there when a boat is moving through its really cool to see. Highly recommend taking a look if you're in the area at all. Every day, we help thousands of travelers plan great vacations. Here are some tips on how to use your Listing Page to attract more travelers to your business - Ottawa Locks. Promote your permanent link - https://www.inspirock.com/canada/ottawa/ottawa-locks-a27029355 - on your website, your blog, and social media. 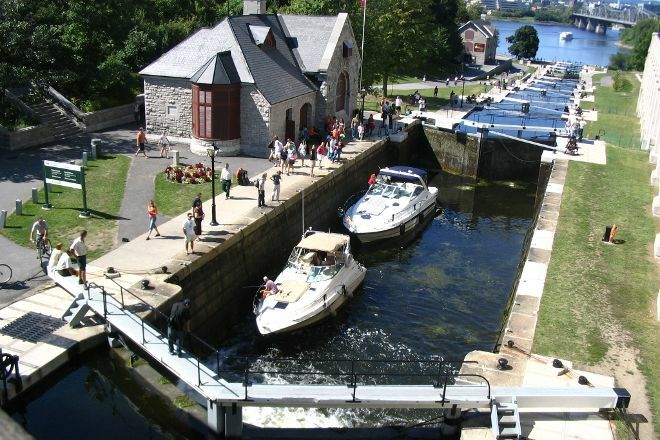 When a traveler builds a plan from this page, the itinerary automatically includes Ottawa Locks. This is a great way for travelers looking for a great vacation in your city or country to also experience Ottawa Locks. Promoting your link also lets your audience know that you are featured on a rapidly growing travel site. In addition, the more this page is used, the more we will promote Ottawa Locks to other Inspirock users. For best results, use the customized Trip Planning Widget for Ottawa Locks on your website. It has all the advantages mentioned above, plus users to your site can conveniently access it directly on your site. Visitors to your site will appreciate you offering them help with planning their vacation. Setting this up takes just a few minutes - Click here for instructions.